The Amazon market place made it possible for my dreams to come true and to have my own online business. 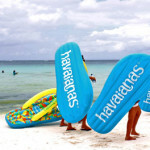 I decided to sell beautiful beach accessories from South East Asia. I started out by researching the market to see which goods were selling well and how I could compete with the prices other sellers were charging. After some time, I found some very unique beach accessories I could get really cheap but sell at a very healthy profit on the Amazon market place. First I started out selling only on the Amazon US market, after I expended my business to Amazon Canada, UK, Germany and France. The time was passing fast and I was really excited that my business was doing well. People were really happy with my products and the service that I offered. I had an excellent feedback score on Amazon. Overtime I was thinking it would be smart to expand my business and to start selling other goods, such as electronic accessories from China etc. However, it was a risky move, as I had to invest a lot of capital in those new product lines from China. I got touch with some friends who had experience selling online to give me some advice on how to expand my business. The research and advice my friends gave me paid off. 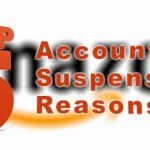 Everything was going well until Amazon decided to suspend my account. I realized that the worst thing that could, had happened. Out of the blue I got banned from Amazon and lost everything. My sales went to zero, all my repeat customers and all the positive reviews that I have built over the years on the Amazon platform were history. The feelings of losing everything, was really a one of the worst thing that ever happened to me in my life. My account on Amazon got banned and I had no power whatsoever to fix it and get my business back. I was feeling sad, angry and frustrated, but when I started to think clear I decided that I will find a way getting back selling on Amazon.